From snow-capped mountains to wildlife-filled game reserves and white-sand beaches, this country offers diverse attractions for exciting vacations. 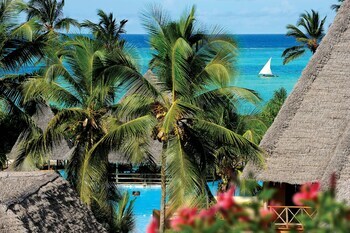 Tanzania is the home of Mount Kilimanjaro and Serengeti National Park, two lands of legend. Gaze up at Africa’s tallest mountain and see grazing wildlife. 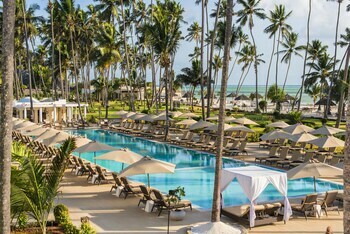 Travel to the island of Zanzibar for cultural sites and beach excursions. Across the nation there are more than 13 national parks, many with land or air safaris offering views of Africa’s big game animals. See zebras, gazelles, giraffes, elephants, lions and numerous bird species in the huge Serengeti National Park. More than 1 million wildebeest migrate between here and Kenya’s Maasai Mara Game Park between July and October. Look for the chimpanzees made famous by Jane Goodall at Gombe Stream National Park. Hike the trails of Udzungwa Mountains National Park to Sanje Waterfalls and watch for delicate African violets growing in the wild. Tarangire National Park is known for huge elephant herds, very large birds and ancient rock paintings near Kolo. The Ngorongoro Crater is one of the most famous spots in Tanzania. See the abundant wildlife grazing in the crater, plains and Olduvai Gorge. This region and its animals formed the inspiration for Disney’s The Lion King film. Here in 1959, Mary Leakey discovered the skull of a human ancestor that lived over a million years ago. In Kilimanjaro National Park, climb at least partway up the 19,340 feet (5,895 meters) of the very accessible Mount Kilimanjaro. Travel from tropical conditions through desert toward the snowy peak. Be sure to arrange proper gear and allow time for acclimation to the high altitudes. Ferry to Zanzibar to see the remains of the country’s Slave Market in the Swahili Stone Town. Participate in turtle conservancy at Mnarani Natural Aquarium. 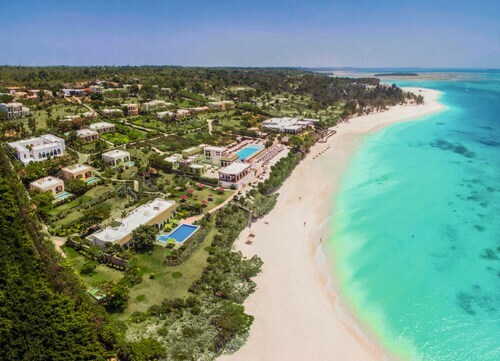 Nungwi Beach and other spots along much of the island’s coastline offer plenty of opportunities to enjoy the sun, sand and water. 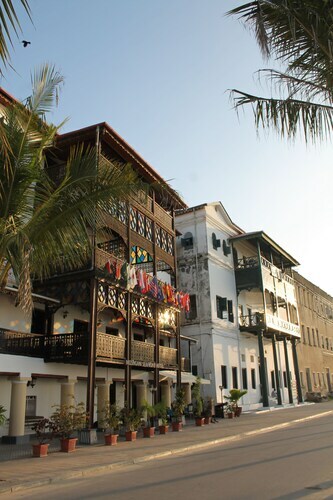 Fly into Zanzibar City, Kilimanjaro Airport or Tanzania’s capital of Dar es Salaam to access the country. Arrange safaris well in advance to ensure you can have your desired timing and locations. Located in Kivukoni, this luxury hotel is within a 10-minute walk of Azania Front Lutheran Church, Atiman House, and Askari Monument. National Museum of Tanzania and St Joseph's Cathedral are also within 10 minutes. Dar Es Salaam Central Station is 15 minutes by foot. 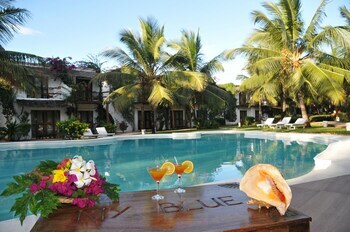 Located in Nungwi, this beachfront resort is in the historical district and within a 15-minute walk of Kendwa Beach and Nungwi Beach. 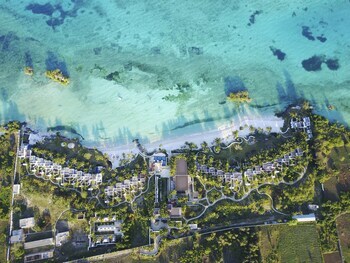 Nungwi Natural Aquarium and Mnarani Natural Aquarium are also within 3 miles (5 km). 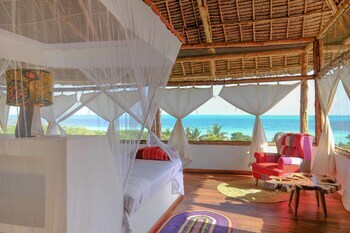 Nestled on the beach, this Nungwi resort is within a 15-minute walk of Kendwa Beach and Nungwi Beach. 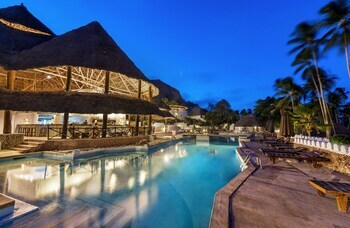 Nungwi Natural Aquarium and Mnarani Natural Aquarium are also within 3 miles (5 km). Located in Mchafukoge, this hotel is within a 10-minute walk of St Joseph's Cathedral, Askari Monument and Uhuru Monument. 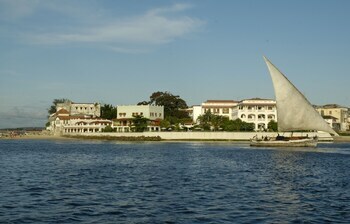 Dar es Salaam International Conference Centre and National Museum of Tanzania are also within 1 mi (2 km). Dar Es Salaam Central Station is only a 5-minute walk. 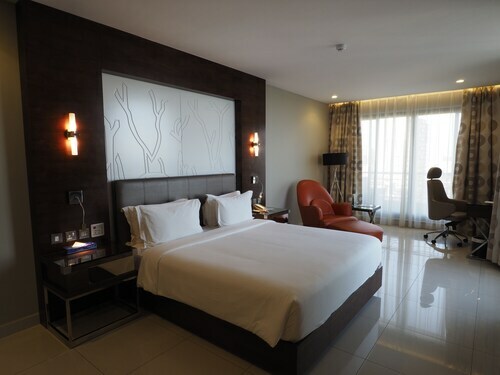 Located in the heart of Dar es Salaam, this hotel is within a 10-minute walk of Dar es Salaam International Conference Centre, Askari Monument and Azania Front Lutheran Church. Julius Nyerere International Conference Centre and Atiman House are also within 15 minutes. Dar Es Salaam Central Station is 15 minutes by foot.